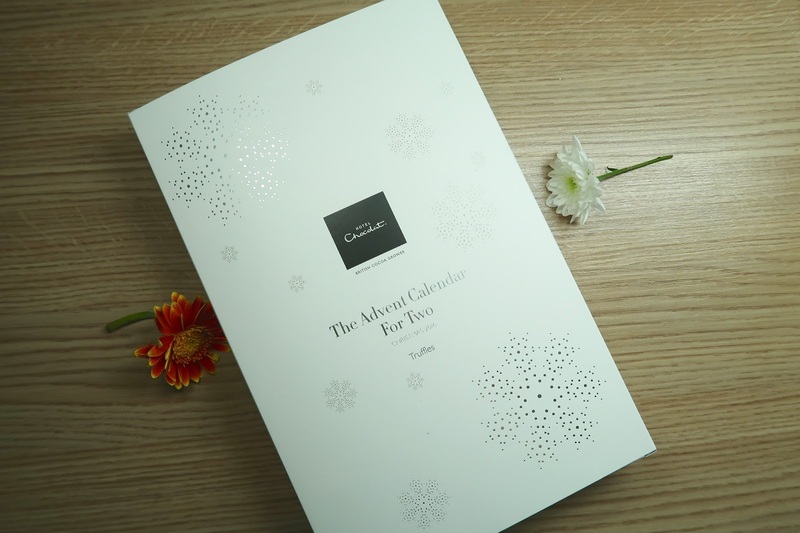 Georgie Minter-Brown: Hotel Chocolat Advent Calendar + Giveaway! 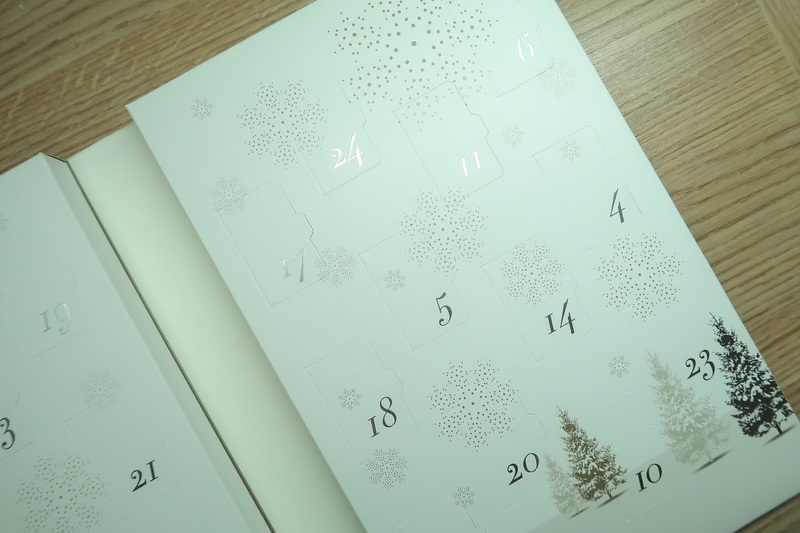 Hotel Chocolat Advent Calendar + Giveaway! Hey! It's been so long since I've sat down to write a proper blog post. And boy, does it feel good to be back. After my little break away, I have so many exciting posts (and some more giveaways) on the way for you, and I even have a proper shooting day now so I can do photos and videos in bulk...look at me being all professional! My first post back is an exciting one as I'm throwing in a giveaway for you all! It's been a while since I've done one and I think you all deserve a thank you for sticking around with me. 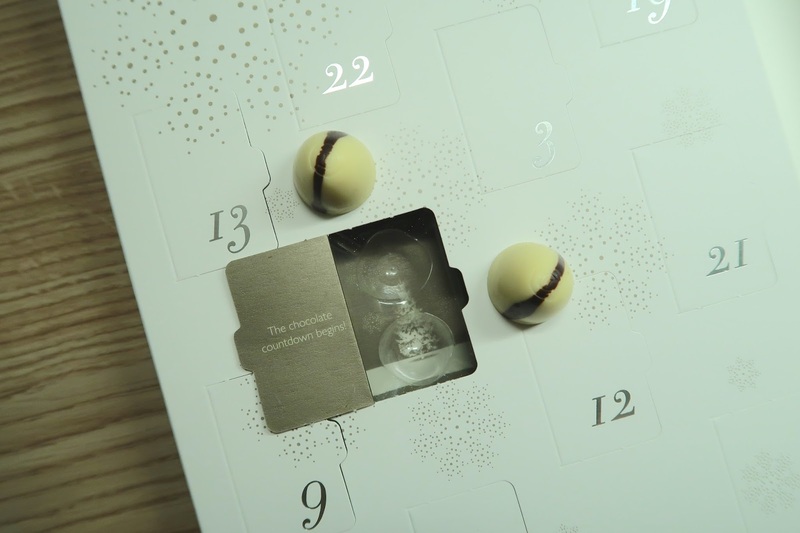 With December less than a week away, I'm teaming up with Hotel Chocolat to give away their Truffle Advent Calendar for Couples! I think this is such a great idea, as what could be better than sharing chocolate with your loved one at the most magical time of the year...or if you're single, you can have double the chocolate! 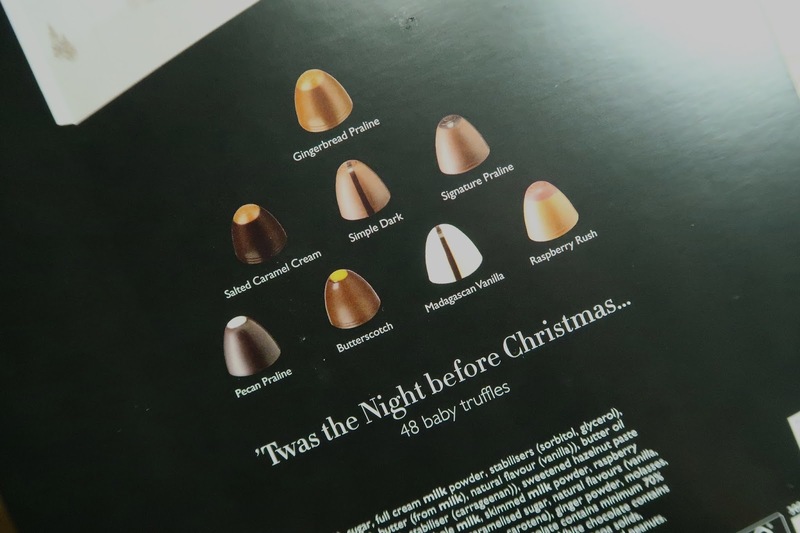 The calendar contains 48 baby truffles with some amazing flavours, including Madagascan Vanilla, Gingerbread Praline and Salted Caramel Cream. It will honestly be so hard not to eat both choccies for youself! As well as the treats inside, the packaging is pretty special too! This won't look too shabby on your kitchen counter with it's sleek design, alongside little Christmas trees and snowflates on the inside. The size of it could almost be mistaken for a beauty advent calendar! To win your very own truffle advent calendar, enter the Rafflecopter giveaway below! Good luck! The Pecan Praline as I love those! They all sound delicious though! The pecan is definitely a popular one! It would have to be the Raspberry Rush. I can't wait to try that one! What a difficult choice, but the raspberry rush looks really yummy. oooh the pecan praline sounds amazing! What a lovely idea, I love the sound of the Gingerbread Praline. ooh let's be festive with the Gingerbread Praline! The salted caramel cream sounds awesome!!! The salted caramel cream sounds lovely. Is there a choice when Salted Caramel exists!! Definitely salted caramel! It's my favourite chocolate filling ever. I love praline so I'd have to go for their Signature Praline! Salted caramel creme - Id love a try of that. Hard decision, but the Signature Praline sounds delciious. Thanks for the chance. The gingerbread praline sounds amazing!! They all sound delicious, but the Gingerbread Praline will be the first one I'd choose, mmmmm! I'm torn between the Pecan Praline and the Salted Caramel Creme, but all of the chocolates sound yummy! Raspberry Rush, I love hotel chocolat so much! !